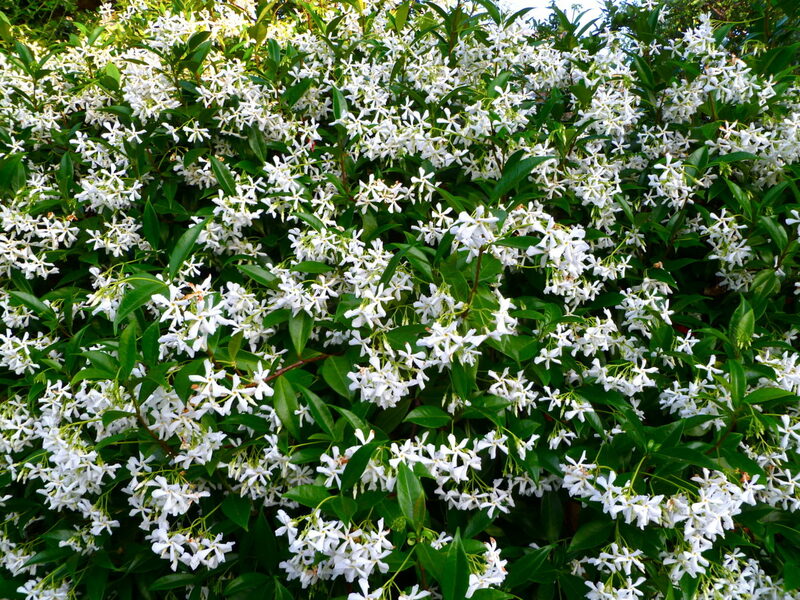 Star jasmine is a shrubby evergreen groundcover with glossy green foliage and small, fragrant white flowers. Plants will grow up to 2 feet tall and 10 feet wide; they can grow quite rapidly in areas of full sun and rich soil. 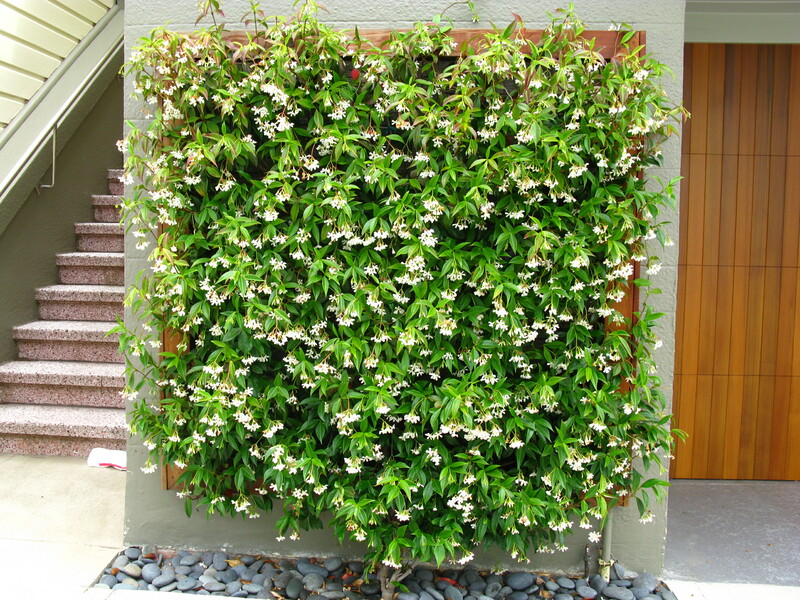 While star jasmine tends to be a ground cover with minimal vertical growth, plants can be trained to grow up trellises and fences. 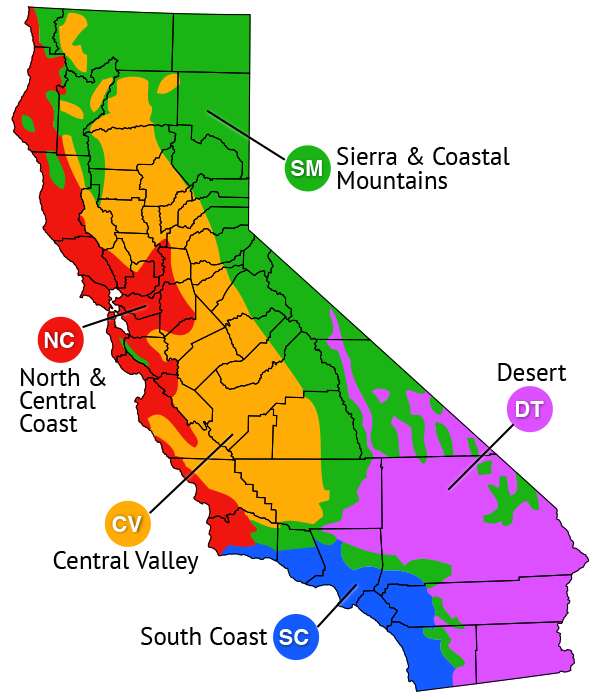 Plants prefer well drained soil and require areas of shade in regions with hot climates. From China. Given support, can twine 20-30 ft. Oval leaves are glossy light green and mature to lustrous dark green. 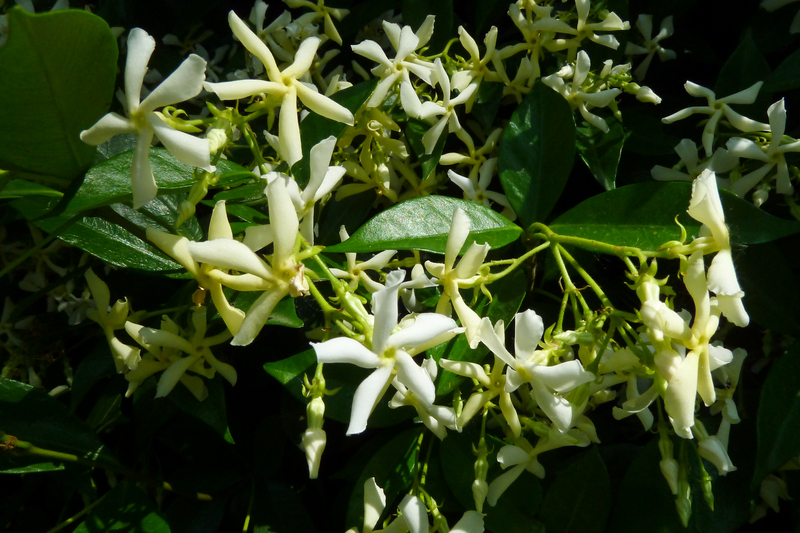 White, inch-wide, fragrant flowers in small clusters on short side branches. Attractive to bees. 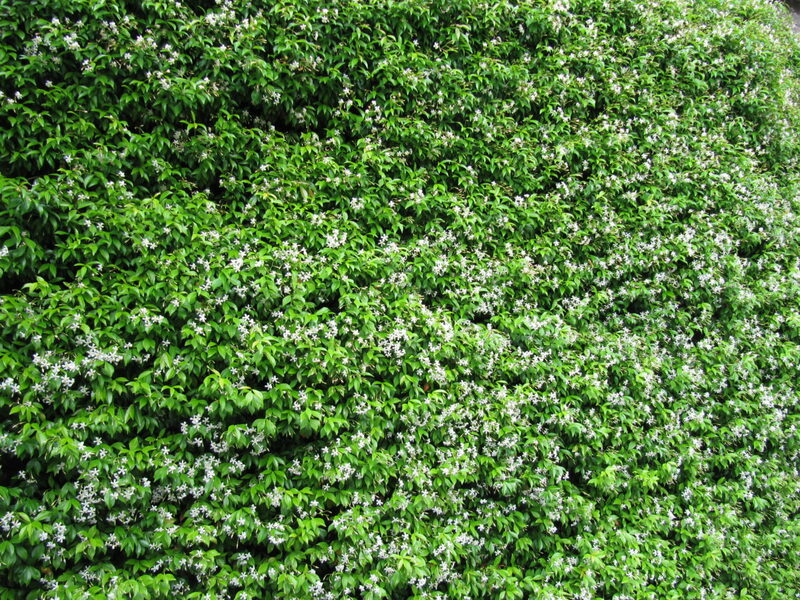 Set 5 ft apart for groundcover. ‘Variegatum’ has leaves bordered and blotched with white. ‘Madison’ is a hardy selection. 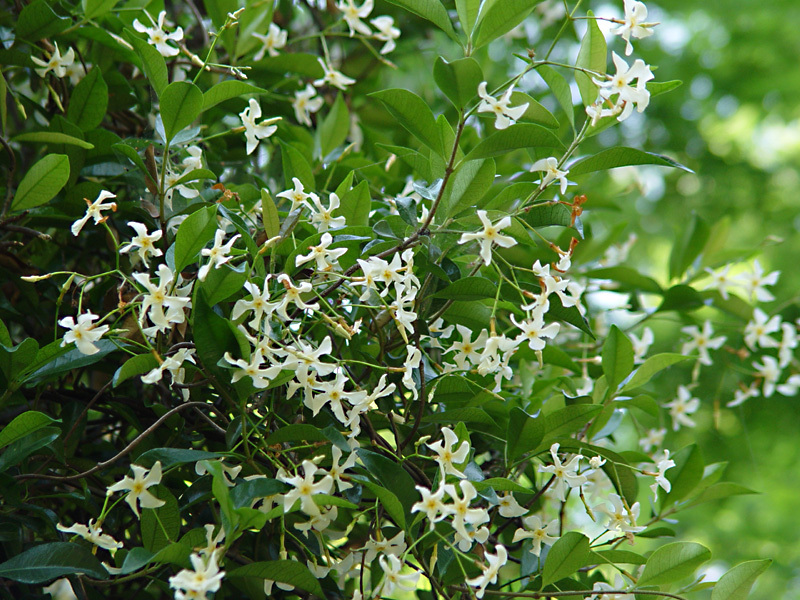 Trachelospermum asiaticum is a similar species from Japan and Korea. Like T. jasminoides but has smaller leaves in darker, duller green and smaller flowers in creamy yellow or yellowish white. 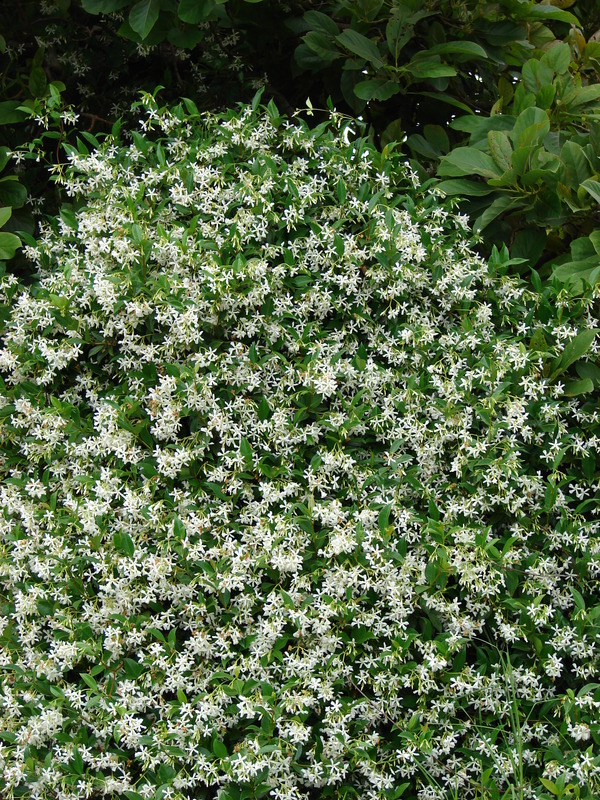 Dense, low habit makes it an excellent groundcover. ‘Red Top’ has red new growth. ‘Pink Snow’ has pink new growth. Photo by Flickr user chuck b.